The Promethean ActivPanel AP5-86E-4K Interactive Touchscreen is an incredible addition in the market. It comes equipped with several state of the art features that make it extremely convenient to use for the teachers and the students. This perfect interactive touchscreen display is designed to revolutionize the way classes are generally conducted. The ActivPanel incorporates educational software packages that help the teachers in making their lessons more effective and stimulate the student’s interest in the topics being taught such as CLassFLow.The Promethean ActivPanel is an 86” touchscreen with the capability of displaying in ultra – high definition 4K resolution and recognize up to 20 simultaneous touch points.Not only that, the Interactive touchscreen has an extremely easy to use interface, backed with several powerful software suits for more user convenience. Its built-in speakers and the multitude of connectivity options available through HDMI, USB, OPS, VGA ports are also one of its noteworthy features. 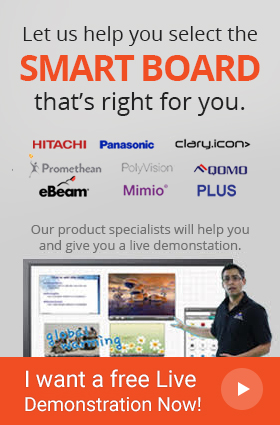 The Promethean ActivPanel: An intuitive and efficient choice!!! 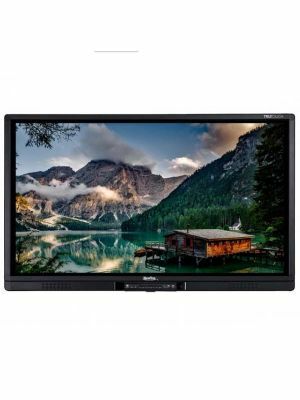 The Promethean AP5-86E-4K interactive touchscreen display comes equipped with numerous features that are integrated within its systems in order to provide users with an unparalleled experience. 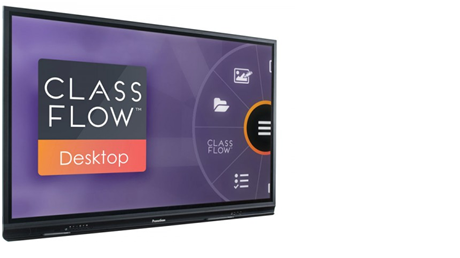 One that has powerful software suits at its disposal, making Promethean ActivPanel an effective and incredibly easy to use device for both students and teachers. Promethean ActivPanel AP5-86E-4K comes backed with an enormous 86” screen with an incredible 4k resolution. It provides users with clear and detailed visuals that is guaranteed to deliver an effective and immersive experience. Interactivity and collaboration is the key to an engaging and immersive experience. 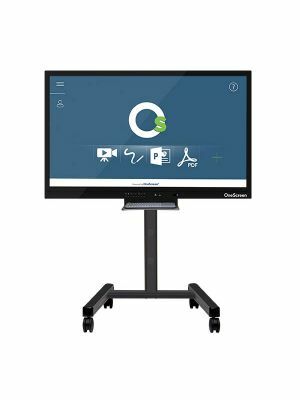 Promethean ActivPanel can accommodate 20 simultaneous touch points, making it an ideal device to have during classes and business meetings. This interactive touchscreen is compatible with all modern operating systems currently available in the market. Moreover, for further convenience, several connectivity options are also included within Activpanel’s system via peripheral ports such as HDMI, USB, OPS, VGA, and many more. Interactive touchscreen enhanced by powerful speakers. 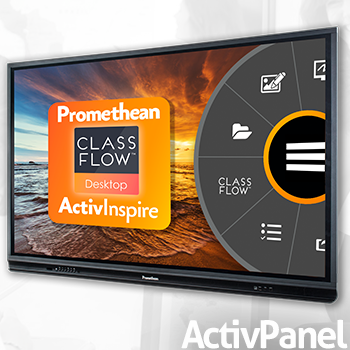 Promethean AP5-86E-4K ActivPanel comes with built-in speakers integrated within its design. Not only are they extremely powerful, but these 2 x 20 W speakers completely eliminate the need of setting up a separate sound system through providing users with a loud and crystal clear audio. Promethean ActivPanel interactive touchscreen display is also backed with a 3 year standard warranty. The quality of its performance and its included components is assured, leaving the user free from any sort of worries that they might have over the device.